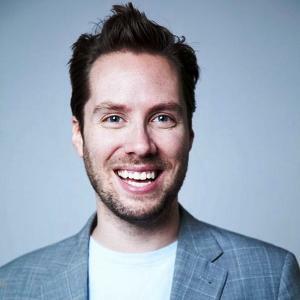 Jeremy Gutsche, MBA, CFA, is a New York Times bestselling author, an award-winning innovation expert, and the CEO of Trend Hunter — the world`s #1 largest, most popular trends & innovation website, with roughly 3 billion-page views from 100,000,000 people. Prior to Trend Hunter, Jeremy grew a $1 billion portfolio for a bank, and today, over 500 brands, billionaires and CEOs rely on his innovation keynotes, reinvention workshops and custom trend advisory to find better ideas, faster, including Victoria Secret, Coca-Cola, Sony, IBM, NBC and Wells Fargo. He has even helped NASA prototype the Journey to Mars! Routinely sourced by the media, Jeremy`s broad appeal ranges from The Economist and CNN to “Entertainment Tonight” and “The New York Times”. He has been described as “a new breed of trend spotter” by “The Guardian”, “an eagle eye” by Global TV, an “Oracle” by the “Globe and Mail”, an “intellectual can of Red Bull” by Association Week, “the Rockstar of keynote speakers” by Meetings Professional International and “on the forefront of cool” by MTV. Before Jeremy`s dot-com success and work as a top innovation keynote speaker, Jeremy studied Innovation at Stanford, completed an MBA from Queen`s University, became a Chartered Financial Analyst, and graduated as a Chancellor Scholar from The University of Calgary, where he was later awarded Graduate of the Decade. He was one of Capital One`s youngest business directors and innovation leaders. Prior to Capital One, Jeremy spent several years as a management consultant at Monitor Deloitte.